Faster, brighter and a little vainer, the A6400 is a great little camera for the creative photographer and videographer. It builds on the success of its predecessors with a very accomplished focus tracking system, fast focus and more adaptable tilting rear screen. 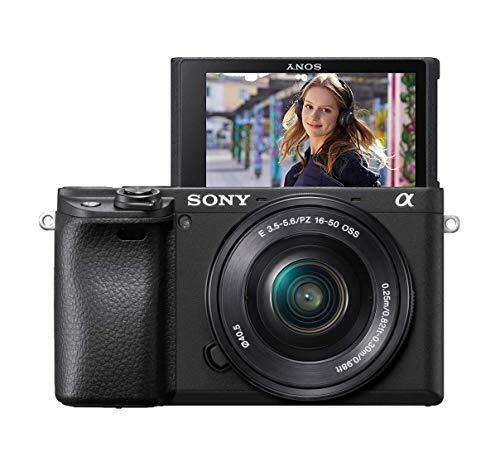 The Sony A6400 is in many ways a gap-filler in the mirrorless camera market, sitting in-between the A6300 and A6500 - both of which were released back in 2016. With its retro styling, the Fujifilm X-T30 offers a slightly higher pixel count and faster burst shooting (30fps using electronic shutter). It too, offers a new subject tracking facility, though offers less focus points. The X-T30 is also a solid choice for video, with pro-grade outputs. Perhaps significantly though, its LCD screen cannot be angled for viewing in front of the lens. With a more affordable price tag and a similar feature set – including 4K video and a full vari-angle LCD screen – the M50 makes a credible alternative. However, the AF system is nowhere near as advanced as the a6400, and the controls feel much more catered towards the amateur user, with less buttons and customisation on offer.